A "promising treatment" for aggressive blood cancer needs more evidence of its effectiveness before NHS doctors will be able to prescribe, a watchdog is warning. Immunotherapy treatment nivolumab (Opdivo) has had positive effects on treating sufferers of classical Hodgkin lymphoma, however, the National Institute for Health and Care Excellence (Nice) says more research is needed. The drug's manufacturer Bristol-Myers Squibb (BMS) is being asked to deliver more UK-based data on nivolumab efficacy. Professor Carole Longson, director of the centre for health technology evaluation at Nice, said: "We recognise that nivolumab is a promising treatment for classical Hodgkin lymphoma, but we need to make sure what the potential benefits are to patients in the UK so that it represents value for money for use in the NHS. "We are inviting the company to provide more information, including revised analyses, to enable the independent appraisal committee to make a decision based on all the relevant evidence." However, a charity has said the decision to withhold the drug from NHS treatment "is of concern" and anyone affected by lymphoma should receive the best possible treatment. Jonathan Pearce, chief executive of the Lymphoma Association, said: "To not make this treatment available on the NHS will mean limiting treatment options for this group of patients, many of whom are from a younger population, and whose remaining option may only be palliative care." People diagnosed with classical Hodgkin lymphoma have large, abnormal cells in their lymph nodes. About 1,700 Britons are diagnosed with the disease each year. A clinical trial of 80 patients was undertaken with all participants having a progressive form of the cancer, despite receiving a stem cell transplant and other treatment. Patients with the cancer, who have run out of treatment options, were given the drug as part of a clinical trial and 95% were still alive after a year, with 68% seeing their cancer reduced. Data from the clinical trial also shows that 8% of patients had a complete response, meaning no evidence of the cancer could be determined after the treatment. 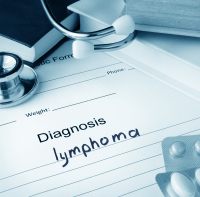 Anyone suffering from lymphoma can take out medical travel insurance to cover overseas holidays. Mr Pearce says innovative treatments are vital in treating the disease and there should be as many options of treatment made available as possible. He added: "We would urge BMS, Nice and clinicians to work together to reassess the decision and find a solution that would ensure Hodgkin lymphoma patients in England, who are without an alternative, have access to the best possible treatment." Benjamin Hickey, general manager for the UK and Ireland at BMS, said: "Whilst recognising that nivolumab is an innovative and promising medicine, Nice has requested further analyses using UK-specific data for the comparator arm as the original submission relied on US data. "In order to address questions raised by Nice, BMS are gathering UK-specific data to support the clinical trial data already provided to Nice." Nivolumab is already licensed to treat non-small cell lung cancer (NSCLC) and advanced melanoma skin cancer.